As a homeowner, you want to hire a company that can give you peace of mind and provide an expert approach with exceptional value for your residential roofing needs. Residential roofing is all about getting it done right the first time and getting it done on time by reliable, respectful and trustworthy roofing contractors. At Affordable Quality Roofing, we pride ourselves on having delivered on some of Vancouver’s most high-profile residential roofing installations. Our safety program is based upon Work safe BC policies and procedures and we always have a third party safety Coordinator visit our job sites. We are consistently training our staff to be safe and to ensure the safety of our clients. In addition, all major projects are supported by customized safety plans for the specific needs and conditions of each roof. We take great pride in a solid safety record and our safety department meets regularly to establish, enforce and update our procedures. Making a decision about which company should handle your Residential Roofing needs is difficult. 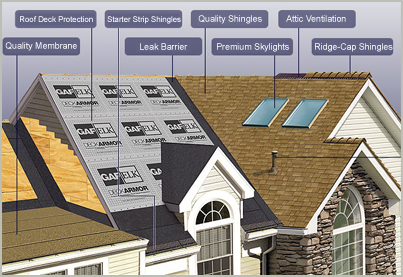 A roof install, when done right, is something you’ll only be doing once every 25 years. Who better to trust your new roof installation to than Vancouver’s Residential Roofing specialists since 1986?